Empower Generation is bringing clean energy to remote areas of Nepal, helping to alleviate poverty, improve health and reduce carbon emissions. 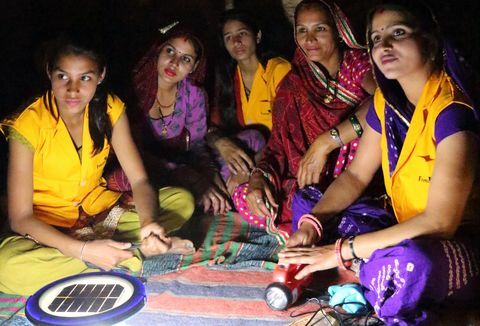 The organisation is empowering rural women, who tend to be disproportionately affected by energy poverty, to become entrepreneurs by training them to set up their own clean energy business and manage a sales force. Reliable, affordable energy will be essential for socio-economic development and poverty reduction in Nepal. A quarter of people lack access to electricity and, even those who do have access, suffer regular power cuts. GDP per capita is about $700 and many people spend up to 20% of this on kerosene and candles for basic lighting. Women generally manage household energy and stand to gain most from the clean energy transition. The training and support that Empower Generation provides to women to help them run their own clean energy businesses is crucial and makes an enormous difference, improving both their financial literacy and their position in the community. For many women in Nepal, especially in remote areas, there are limited opportunities to improve their lives or take part in entrepreneurial activities. 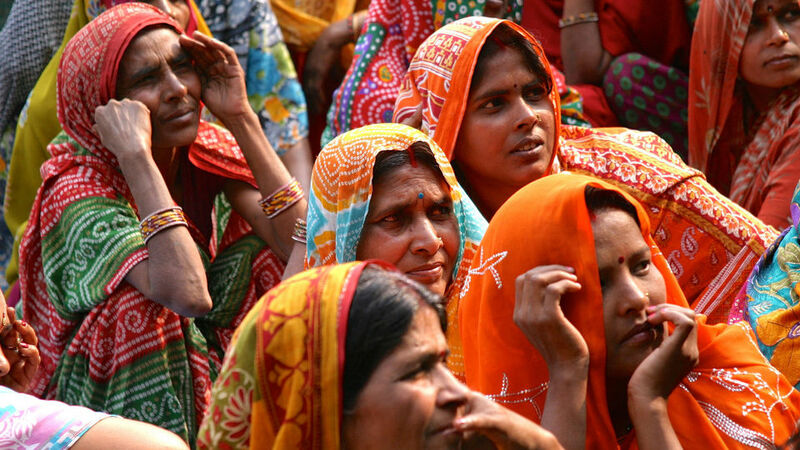 Less than 12% of women in Nepal participate in non-farm work. Empower Generation was started to tackle these issues – to increase opportunities for women, reduce their vulnerability to exploitation and enable them to lead their communities out of energy poverty. As well as providing training, leadership opportunities and ongoing support, Empower Generation helps women tackle key barriers like confidence and resistance from family. Empower Generation is a social enterprise, incorporated in the US, with its main operations to date in Nepal. 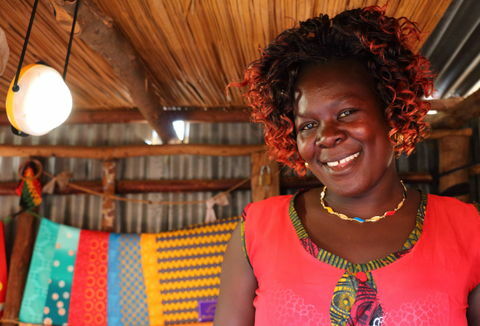 Since 2012, Empower Generation has enabled 23 women entrepreneurs to register and run their own clean energy businesses and manage a network of 259 active sales agents who earn a commission on each sale. Entrepreneurs and sales agents sell a range of clean energy products including solar lights, solar home systems, clean cookstoves and water filters in hard-to-reach communities. Empower Generation provides training on sales and marketing, finance and management. They also provide marketing materials such as branded business cards, shop signs and catalogues. 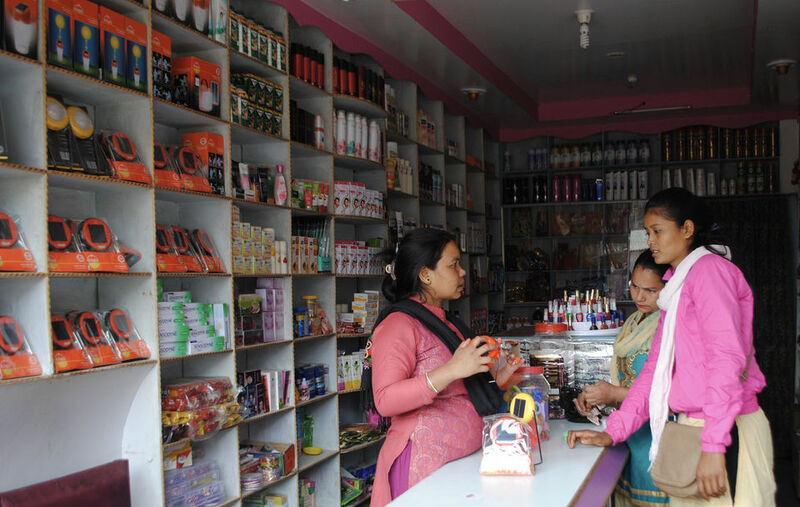 Empower Generation’s first entrepreneur and co-founder, Sita Adhikari, now runs the distribution business which supplies products to all the other entrepreneurs. A ‘Field Mobiliser’ in each region acts as an on-the-ground mentor, helping entrepreneurs overcome business and cultural challenges, expand to new areas and feed back sales and performance data to Empower Generation’s head office in Kathmandu. Most marketing is done by entrepreneurs and agents directly in their communities and through sales demonstrations. Entrepreneur performance is assessed against monthly targets and a business plan which they set themselves and review periodically with their Field Mobilisers. Empower Generation has sold 56,300 products to date. Around half of the sales have been through the entrepreneur/sales agent network. The others have been through partners, in particular INGOs and humanitarian organisations. 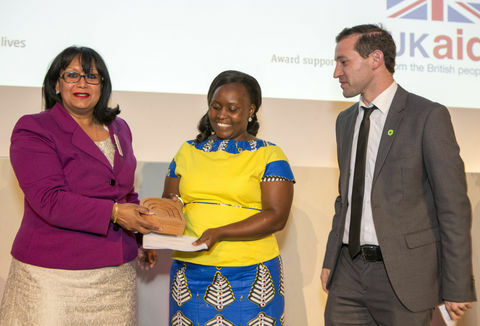 A woman running her own clean energy business and managing money and people helps boost skills, self-confidence and change perceptions about women’s capabilities. Entrepreneurs serve as role models for their own sales agents and other young women in the community. There is room to move up the ladder: seven entrepreneurs started out as sales agents. Many entrepreneurs have decided to recruit their sales agents from marginalised castes. Though caste discrimination has been made illegal, it is still prevalent. These agents are reportedly gaining economic independence, confidence and respect. Empower Generation’s network is also meeting important needs for clean energy in rural areas, especially for women. 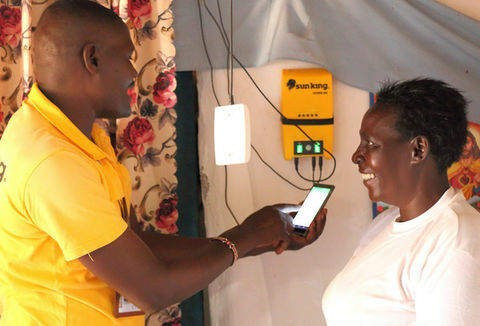 For customers living off the grid, solar lanterns and home systems bring clean electric light and phone charging often for the first time. Even those who are connected to the grid use the products as a back-up during blackouts or for attending to crops and animals after dark. Empower Generation are expanding their product mix to respond to consumer needs and have just started selling fuel-efficient cookstoves. Many of their female customers take long journeys into the jungle to gather wood. These cookstoves will help reduce time spent on this as well as improve indoor air quality. Empower Generation have also recently added water filters, phone top-ups and sanitary products in response to demand. Entrepreneurs often sell other products of their choosing alongside those supplied via Empower Generation. 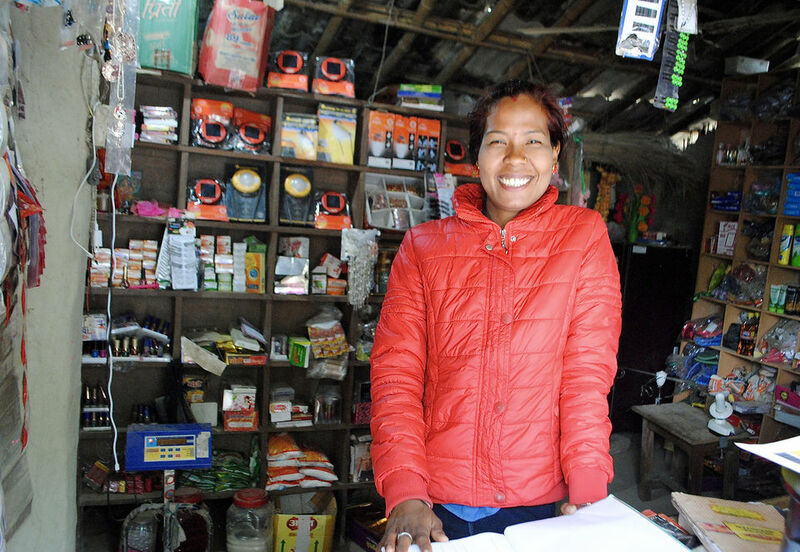 In Nepal, Empower Generation plans to expand to 50 entrepreneurs and 1,000 active sales agents by 2020. They will also help current entrepreneurs scale up their businesses, to act as local distribution hubs for clean energy products. They have just begun to pilot selling pay as you go solar home systems through their entrepreneur/sales agent network using mobile money. Empower Generation has started a pilot in Myanmar, replicating the model developed in Nepal, and ultimately aims to create an independent, global network of women-led clean energy businesses, partnering with other NGOs to enable this. Before Empower Generation, I was working in a food packaging factory, working long hours and earning very little. I felt like I was swimming in a tiny well. Now I am swimming in the ocean. I have ambitions and there are possibilities for me.